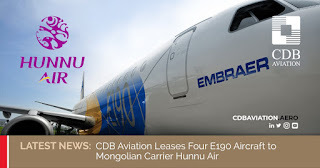 The privately owned Mongolian domestic airline, Hunnu Air has signed a deal for a fleet of four Embraer E-190 aircraft with CDB Aviation, a wholly owned Irish subsidiary of China Development Bank Financial Leasing Co. 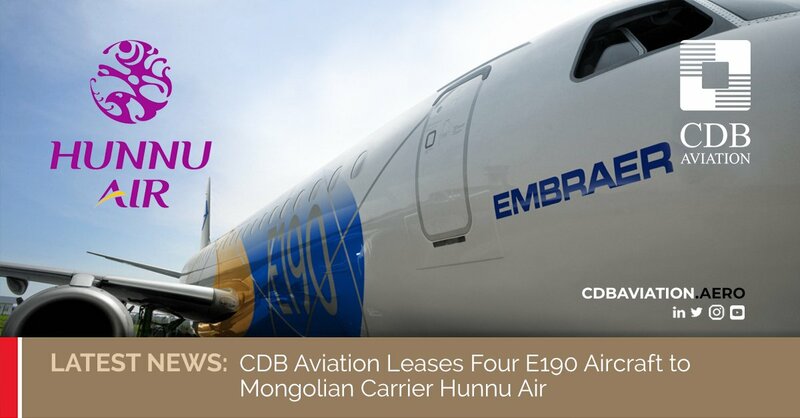 The E190 aircraft will support the carrier’s domestic and regional network, which now operates flights within Mongolia and to China and Russia from its Chinggis Khaan International Airport base. The four Embraer E190s enjoy a two-class configured that features 92 seats in economy and 6 business class seats. According to CDB, the aircraft are expected to be delivered to the airline in May 2019, and in 2020 and 2021. Towards the end of last month, Hunnu Air retired its last Fokker F27 Mk. 050 (Fokker 50). The venerable old aircraft had spent five years with the airline and in that time it had completed 8.162 domestic flights and flew 13.467 hours.